If you've read this site for any length of time, you know that I'm always one to make sure people know about the upsides and the downsides of using credit cards. They're a tool, and like any tool they can be used to your advantage, or can be abused and put you in a ton of debt. You have to know if they'll be a positive or a negative for you, and proceed accordingly. Make sure that you pay off your balance every month, and make sure that you're not paying excessive interest. If you have rewards available to you make sure that you collect them! With that, let's jump right in! So while I don't think I would ever recommend a credit card to someone who has issues with debt, or who doesn't have a disciplined plan for their spending, I do think that they can be useful. 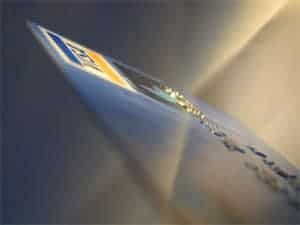 With that in mind, On these pages I'd like to recommend a few of my favored types of credit cards. On this page you'll see one of my favorite types, cash back credit cards. To view other types, click on the links below.